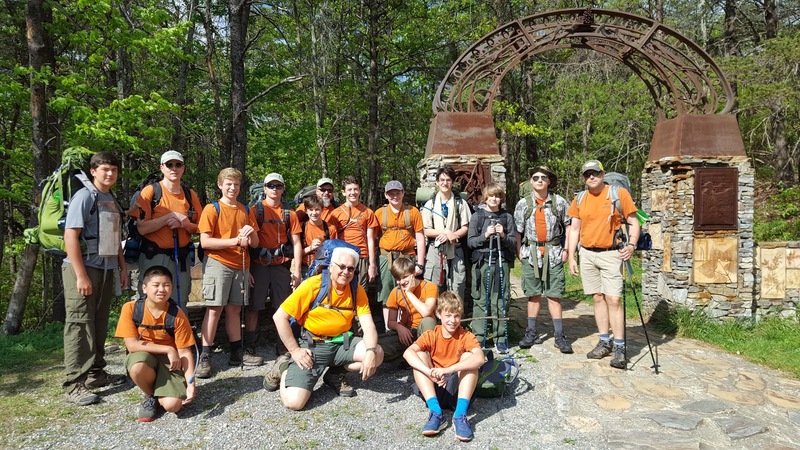 Troop 50 headed north to the Anniston/Delta, Alabama area the weekend of April 21 to camp at the Greater Alabama Council's Camp Sequoyah and to day-hike a portion of the Pinhoti Trail in Cheaha State Park. 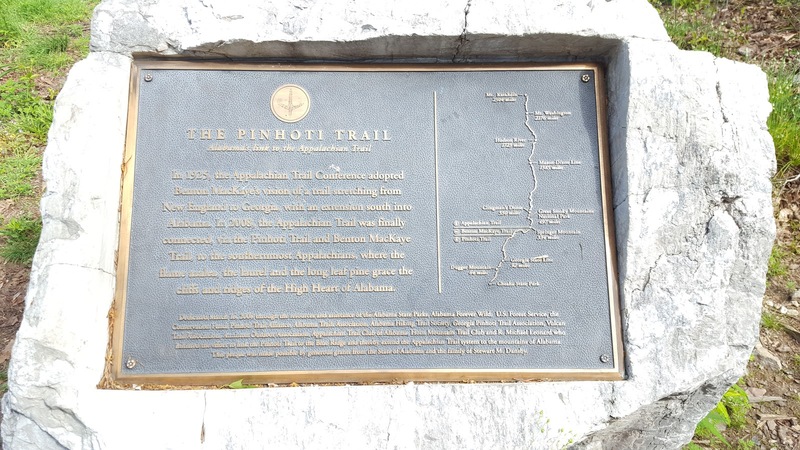 The 339-mile Pinhoti Trail meanders through Alabama and Georgia, with 172 of those miles located in Alabama. It starts at Flagg Mountain, cuts through the Talladega National Forest, and ends in Northeast Georgia at the Benton MacKaye Trail. The Benton MacKaye Trail connects into the Appalachian Trail. The troop originally backpacked this section of the Pinhoti Trail in November 2013. 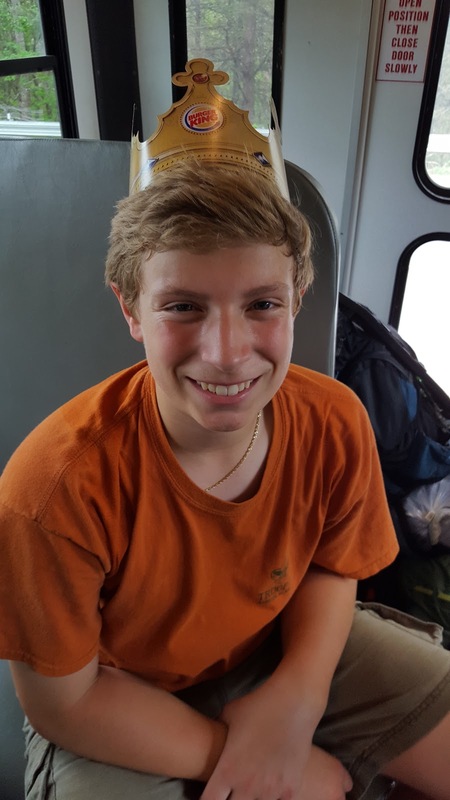 This campout, however, marked the first time the troop was able to benefit from one of the small buses loaned by Auburn United Methodist Church, who began partnering with the troop in addition to the troop's sponsorship by the Auburn Rotary Club. 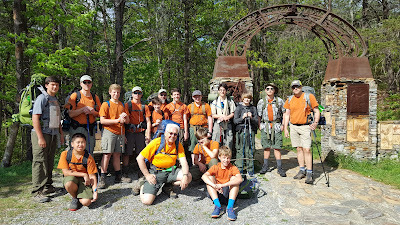 The troop sets out Saturday morning from the Cheaha Trail Head. The trail-proven members of the troop's Philmont contingent. 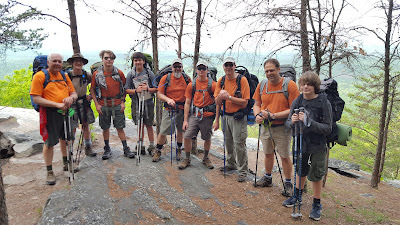 The troop used the day-hike as a training opportunity for many members of the troop who will form the contingent for June's backpacking expedition to Philmont Scout Ranch, which will be led by Scoutmaster Andrew Baird. 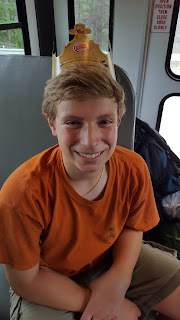 Those attending Philmont, including guest camper Sam from Auburn's Troop 11, donned full backpacks instead of day packs for the full training experience. The troop's six-hour excursion totaled more than 8.4 miles over rocky terrain, through trail obstacles and past scenic vistas. Miles, Tyson and Joe enjoy lunch and a scenic expanse while on the trail. 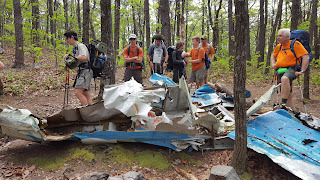 Although rocks, trees and other elements of nature are expected when hiking in a national forest, the remains of a plane crash are not as common. 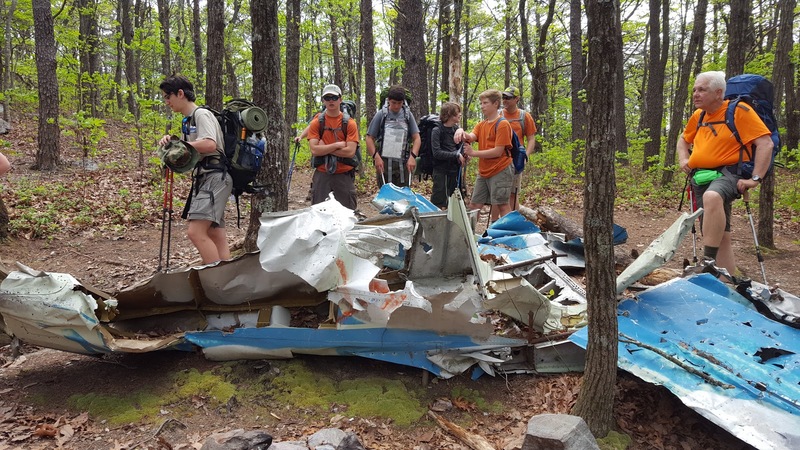 Unfortunately, the higher elevations and sometimes treacherous weather of North Alabama have resulted in several airplane crashes on and around the Pinhoti Trail. One such incident that has gained notoriety occurred in 1972 at McDill point, and since it is logistically impossible to remove many of the remains of these crashes, the remains of that crash still exist. troop's "king of the day." One of the best parts of a campout is the opportunity to fellowship and celebrate the milestones that occur within the troop — especially birthdays. Upon the return to the campsite following the day of hiking, the busload of Scouts and leaders burst into song to celebrate Rusty's 14th birthday. Ironically, the troop's last trip to the Pinhoti also included a birthday celebration: Scoutmaster Andrew Baird's! The troop awoke to a wet morning Sunday after evening rains began around 10 p.m. the night before. After a very organized effort to pack up camp and ready for the return trip home, the troop gathered for its traditional Sunday morning devotional service. Chartered Organization Representative Michael Tullier led a discussion of equipping ourselves with the armor of God from Ephesians 6:10-18, and how preparing ourselves for the daily challenges of life is not much different than how our Scout uniforms serve functional purposes on campouts and at other Scouting gatherings. At its Monday evening Patrol Leaders Council meeting, the troop's youth leadership commended everyone on the troop's overall efficiency during the campout, from pacing on the trail to packing up gear on Sunday despite dealing with rain and wet tents. They thought the availability of AUMC's bus helped greatly, and gave everyone time to socialize as a group. The youth leaders also noted that the overall quality of menu planning has been improving greatly, and several in each patrol are demonstrating budding culinary skills. For more photos from the hiking trip, visit the troop's online photo album.